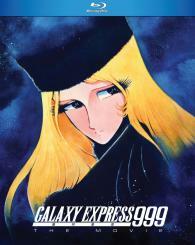 Galaxy Express 999 is the name of a train which travels through space, beginning at Megalopolis Station on one end of the galaxy and ending at Andromeda on the other. But the Galaxy Express is more than just a train; it’s also a metaphor for life itself, with passengers constantly boarding, debarking, and dreaming along the way. Tetsuro Hoshino is a youth who’d give anything to board the Three-Nine, including a promise to accompany a mysterious woman named Maetel all the way to Andromeda, the planet where, she tells him, he can get a free machine body to avenge the cruel death of his mother. - TV Special Can You Live Like a Warrior? - TV Special Can You Live Like a Mother?